I talk a lot about real estate marketing, because it's changing rapidly and because most Realtors are falling behind the technology curve. Home buyers today are more informed than ever. Many times, they don't need a Realtor to send them a list of properties from a search request on Zillow or Realtor.com. In my experience with my own websites, I'm finding many buyers don't want to sign up for listings updates. They just keep coming back to my website again and again, to check on available properties for condos and neighborhoods they are interested in. 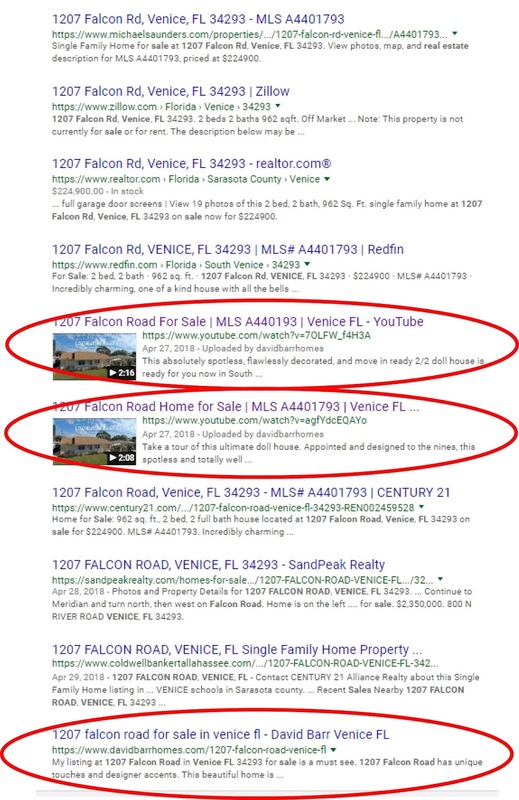 That's why, when I take your listing, I market your Venice FL home or condo to the actual buyers, not other Realtors in the area. Buyers are driving neighborhoods, looking for Open Houses, and using their phones to do it. What if I told you that with my advanced marketing, the best buyer prospects looking for homes in your neighborhood, could find your individual property easily on their mobile device? Do you think a buyer interested in your neighborhood would like to take a video tour of the home before visiting in person? Or, would being one dot in a sea of red dots on a Zillow map help a buyer single out your home? Showing up in a long list of properties on a broker website, Realtor.com, or Zillow, won't cut it anymore. 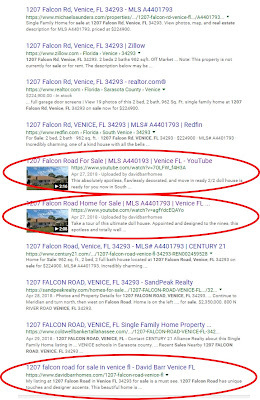 You need a Realtor like me who understands the importance of giving buyers direct access to your property for sale, with multiple links and content to dominate the competition. 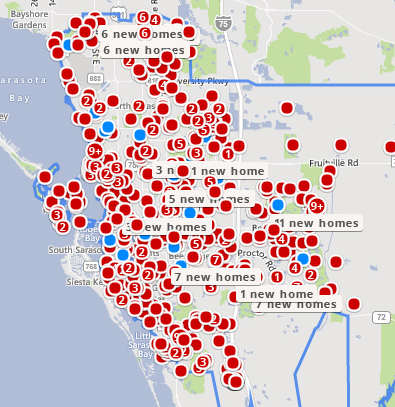 Has your Venice FL home expired without selling in the MLS? It may not be because of the price or condition. It may be due to stale marketing. Contact me about how my advanced online marketing will sell your home to the best potential buyer.